In all my years as a people watcher, I have never seen a self-made businessman quite like Edgar “Injap” Sia whom I met many years ago through Go Negosyo founder Joey Concepcion. At the time, the then 20-something “provincial businessman” was just starting Mang Inasal, a small chicken barbecue restaurant that he put up with money he borrowed from his father, Edgar Sr. There was something about this young man with the friendly demeanor and easy smile, whose phenomenal success story makes him a great example to the millennials of today. Known as the Philippines’ youngest dollar billionaire whose net worth is estimated by Forbes at $1.2 billion as of September last year, Injap got to where he is now through hard work and tenacity, plus the “audacity” to do things differently. As a young boy, Injap knew what hard work was all about, helping in the family’s grocery store by doing manual labor like stacking grocery items, repacking goods and doing the inventory. At times, he would also man the cash register. He took up Architecture at the University of San Agustin in Iloilo City, but entrepreneurship obviously runs in his blood because he decided to drop out of college when he was 19, starting a laundry business and a photo-developing center instead. In 2003, he came up with the idea of a chicken barbecue fastfood restaurant — something of a novelty during that time — and opened the first Mang Inasal (Mr. Barbecue in Ilonggo) at a mall in Iloilo City. Pretty soon, Mang Inasal chains started sprouting in other parts of the Visayas and then Mindanao — growing to over 100 branches by 2009. The rapid expansion caught the attention of giant fastfood chain Jollibee owner Tony Tan Caktiong, who initially acquired 70 percent of Mang Inasal’s stake for P3 billion in 2010. With that money, Injap Sia invested in several other industries such as banking and healthcare. In April last year, Jollibee acquired the remaining 30 percent of Mang Inasal for P2 billion. 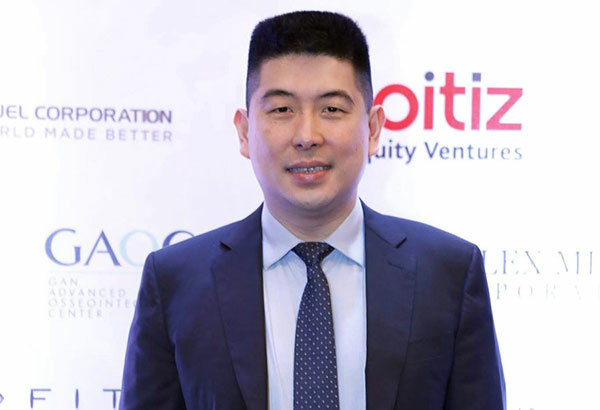 The partnership between Sia and Tan Caktiong gave birth in 2012 to Double Dragon Properties — an ambitious real estate development company whose vision is to develop 100 community shopping complexes called City Malls catering to residents of smaller cities mainly in Visayas and Mindanao. Leveraging on Mang Inasal’s success, Double Dragon targets areas that may not be attractive to bigger mall developers. Injap saw the wisdom of partnering with SM Investments Corp., for City Mall Commercial Centers — the mall development arm of Double Dragon — before proceeding with the initial public offering in 2014 to generate funds for the envisioned 100 City Malls by 2020. From an initial valuation of $100 million, Double Dragon (so named because both men have been born 24 years apart under the sign of the Dragon in the Chinese zodiac) has since soared continuously, with an estimated market value of $3 billion today. It would not be an overstatement to say that Injap Sia is a visionary, recognizing the great potential of Visayas and Mindanao — the two regions that are at the top of the Duterte government’s priority for inclusive growth. Just last week, Double Dragon achieved a milestone with Spy Bitzthe two-storey City Mall-Boracay, the 14th City Mall and the beach island’s first community mall. It features several restaurants, a supermarket, a hardware store, and a cinema that locals have been waiting for. The mall runs on solar energy courtesy of the solar panels at the roof deck and sells products made by the locals — providing employment and generating additional revenue for the local government. Despite Injap’s success, he has remained humble and simple — a well-mannered young man with a ready smile for ordinary people who are pleasantly surprised to find that he is very approachable. He has remained steadfast in his faith, acknowledging God’s hand in the success of his businesses and seeing himself as a channel to bless and uplift the lives of others by creating responsible businesses that in turn generate sustainable livelihood for thousands of Filipinos. Just recently, he released a book titled Life Principles by Injap Sia where he gives readers an insight on the valuable business lessons that he has learned in his journey as an entrepreneur, allowing himself to dream big while keeping his feet firmly grounded. For instance, one should conduct a self-assessment and see if the industry (or business) you plan to venture into is something you have a natural talent for or would enjoy doing. After all, business is not all about seeking huge profits. Injap also encourages readers to look at other ways of doing things more efficiently and not simply be content with following what others have been doing. His advice: Believe in yourself, go after your dreams, and even if you suffer from rejection, hold fast and be tenacious. A lot of people including myself have a great admiration for Injap — being open about his life story and generously sharing the principles that have made him successful as an entrepreneur. I personally nominated him to be one of the 2017 People of the Year awardees of PeopleAsia magazine, knowing that this gentleman businessman has a fantastic story to tell.